With so much ugliness mushrooming near and far, last weekend I was heartened by an awesome gift from the Northern California Special Olympics: proof that altruism and joy do exist.One of my young adult relatives competed in volleyball. The team members ranged in age from twenties to seventies. They lived in the moment, utterly devoted to the game. A sixty-year-old man clapped and bunny-hopped in victory. A young woman gave her audience face-splitting grins and thumbs-up no matter what happened to the ball. Entire teams dutifully raised their arms to receive serves—and kept their arms raised, watching with peaceful interest as the ball hit the floor beside them. I laughed at the same time I fought tears. People with special needs have their behavioral ups and downs, and caring for them is a challenge. Nevertheless, as the players either planted themselves in one spot or threw themselves at the ball and even popped it over the net, their innocent joy was shocking in its beauty. The tournament will forever shine in my memory, but nothing glows brighter than the moment my often-miserable relative achieved an especially good point and checked out my reaction. I waved both arms and yelled. The responding helpless giggles hammered my heart. Many of the players were elderly, and I was confronted with an awful reality: their parents had passed on with no choice but to entrust their special children to others. 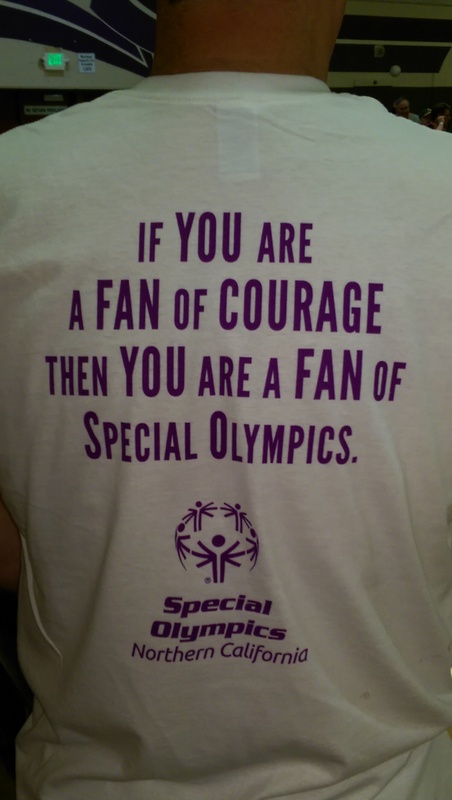 We desperately need organizations like the Special Olympics. I witnessed respectful teens guide sometimes confused players on and off the courts, keep score and line-judge. Adults worked as referees, coaches, bus drivers, tournament managers, and more. They were generous with their time, energy and experience. They cared. World-wide ugliness captures our attention with its screaming volume, and honorable people quietly donate their time to give special adults the thrill of playing before appreciative crowds. I wonder if they fully comprehend the enormity of their gift.